with you. 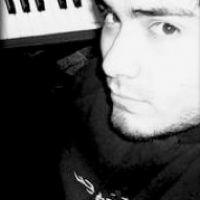 I have also produced and recorded music for many artists around the world. I am also proud to teach music to such great artists in the London scene who appreciate my new approach to music learning. Have fun learning the piano!. Feeling comfortable and happy while learning is very important, I make sure my students enjoy their lessons, teaching in a relaxed and easy way. If you are a beginner don’t be scared, I am a very patient teacher!. I teach people from all ages and skill levels.